I was thrilled to see that earlier this week, Massachusetts Governor Charlie Baker signed a bill requiring that men and women be paid equally for comparable work. The Equal Pay Bill will play a significant role in supporting the careers of women here in Massachusetts, and I’m confident that it will help other states in the nation follow suit with similar legislation. At Unison, we know firsthand the need for diversity and equal treatment in the commercial real estate industry and we’re proud that Unison is built on a philosophy that supports and elevates women. While this is a giant leap for Massachusetts, there is still much more progress to be made in our country as a whole to level the playing field in support of working women. Since Unison was founded, we’ve adhered strongly to the belief that every employee, regardless of gender or any other factor, should be compensated according to their experience and responsibilities, not their previous salary. We’ve found that this approach has actually enabled us to focus more closely on selecting candidates who are the right fit for Unison based off of their credentials and job history, rather than their previous salary – and this in turn has helped us support a team of men and women of varied ages and experiences that bring a variety of perspectives to the table. At Unison, in fact, the most senior, highest paid employees are actually all women, which stems from our practice of considering experience over salary. Of course, it’s difficult to legislate prejudice, and the new bill will limit what you can ask potential candidates. One provision of the law prohibits companies from banning their employees from discussing salaries. While there are obvious drawbacks for employers in that stipulation, I like that aspect of better transparency, because it backs up what I have always advocated – that more transparency means better commitment and empowerment of your employees. There is still a long way to go. 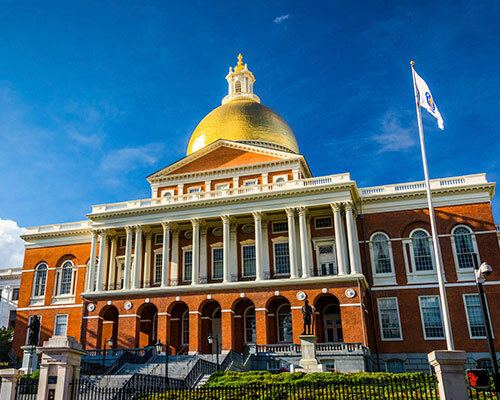 While a few other states have passed their own versions of equal pay laws aimed at closing the gender gap, none have gone as far as Massachusetts in actually banning employers to ask for salary histories. Particularly in traditionally male fields (like our industry of commercial real estate), this law welcomes a more equal playing field for women. I’m proud to lead a Massachusetts-based business, and I’m looking forward to the inroads that will continue to be made so that no prospective or current employee is the victim of bias or discrimination.